Travel Insurance is an insurance product that provides cover to policy holders when they travel overseas. Travelers get to select the type of cover they desire, depending on their personal circumstances and situations. Many people travel to visit family and friends, for vacation, education and work purposes and sometimes for business reasons. While travel can be exciting, things could go wrong. Personal luggage could get lost, an emergency situation might arise in a foreign country or even sickness and bad health may afflict travelers. Kenindia Assurance has developed a cover to cater for all kind of client’s different needs. 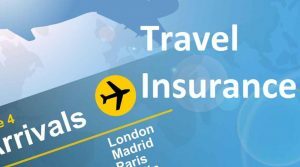 The average travel insurance policy covers a range of losses and injuries, although it’s important to select a policy that will provide enough coverage for your belongings. Travel Insurance caters for personal accidents like injury or death (if it’s a death, we compensate the next of kin), dental and optical cover, daily hospital cash benefits if/when bed-ridden and travel cancellation when forced to abandon. In cases of loss of luggage or its delay, Travel Insurance will cater for it. Furthermore, in instances of hostage situations or hi-jacking or wrongful detainment, Travel Insurance will compensate the traveller for the number of days inconvenienced. It is important to note that the Travel Insurance policy is based on a number of days, precisely 1-180days. How many kinds of Travel Insurance does Kenindia have? We have about five (5) different covers under Travel insurance namely – Premium, Business, Schengen, Youths (for those up to 28 years) and incoming (for those repatriating back to Kenya). It is also important to note that frequent travelers can take an Annual cover. What are the Schengen states and what type of Travel insurance do you offer to them? When visiting some countries in Europe like Finland, Slovakia, Greece, Iceland, Hungary, Norway- one of the VISA requirements is to have a minimum Schengen travel insurance and only Kenindia Assurance offers it. So how does Kenindia Assurance cover me while outside the country? In the likelihood that something happens, Kenindia would have already availed you (traveler) with a contact that you could reach through Europ Assistance, that will then offer either emergency evacuation, hospital monitoring, legal assistance and also overlook return of mortal remains in case of death or fatalities. Are children also catered for under Travel Insurance? Certainly, Travel Insurance also caters to the younger travelers. All children under the age of 12 years of age can share the same Travel insurance policy as their parent for as long as they are accompanied. Like any insurance policy, Travel Insurance may have a number of exclusions depending on the policy. Typically, travel insurance will not cover the loss or theft of baggage or cash left unattended, self-inflicted injuries, acts of civil unrest, and any pre-existing medical conditions. Travel insurance is typically affordable and serves to safeguard against potentially huge financial costs while overseas. The cost of a policy will vary depending on the type of coverage needed, the age of the insured individual, the travel destination, the length of stay and any pre-existing conditions.